Realtime Prices, Sentiment, Tweets, Scuttles, News and discussions on Cisco Systems Inc. Cisco Systems, Inc. designs, manufactures, and sells Internet protocol (IP)-based networking and other products related to the communications and information technology (IT) industry and provide services associated with these products and their use. The Company provides a line of products for transporting data, voice, and video within buildings, across campuses, and around the world. Its products are designed to transform how people connect, communicate, and collaborate. Its products are installed at enterprise businesses, public institutions, telecommunications companies, commercial businesses, and personal residences. The Company has five segments: United States and Canada, European Markets, Emerging Markets, Asia Pacific, and Japan. In October 2013, Cisco Systems Inc completed the acquisition of Sourcefire, Inc. In October 2013, the Company announced that it has completed the acquisition of privately held WHIPTAIL. 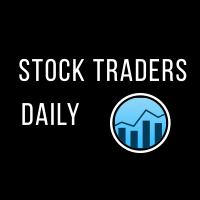 For a limited time get your FREE Stock Traders Daily report on CSCO. Get it now.